The apartment Melnicka Mala Strana is located in the heart of the Lesser Town (called Mala Strana) which is the oldest district of Prague, founded in the Middle age, with dominant renaissance and baroque styles, on a quiet street , in walking distance from the famous Charles bridge, Prague castle, National theatre and other sights. Near the river bank with its pleasant Kampa park. This is the romantic and beautiful district of Prague! There are many good restaurants, taverns, jazz-bar and cafes in the vicinity. You can discover and enjoy the city centre by walking directly from this location and access to all tourist sites. Shopping center with Tesco about 7 min walk. Historical building from Apartment Melnicka Mala Strana was built in the second half of 19th century. In the whole Apartment Melnicka Mala Strana is smoking prohibited. 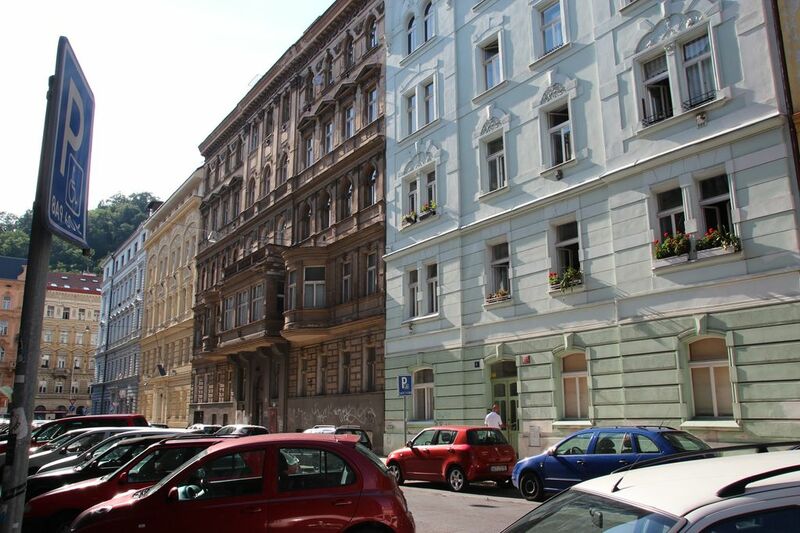 You don’t need to live like a tourist while you visit Prague; you can live in a real apartment in the centre of town. We supply fresh linens and towels. Easily can accommodate 5 people. There are 1 double bed, one pull out couch for 2 people as well and one sleeper chair bed for 1, wardrobe, TV, table with chairs. Fully equipped kitchen, with cooker, fridge, kettle, plates, cutlery, glasses, microwave. Pull out couch for 2 people as well, coffee table, TV, table with chairs. We had a great stay in Prague. Nadia’s apartment was great for our 4 night stay in Prague. The location was perfect, the apartment was clean and communication with Nadia was efficient and prompt. Elena her manager met us at the apartment upon arrival and departure. We would definitely stay at Nadia’s apartment in the future. We were met by Elena, who was just wonderful and showed us all around the beautiful apartment. She showed us in the map where we were located and gave us good directions on how to get around a city new to us. The location couldn’t have been better, quiet but close to a tram and sweet little cafes. Truly a gem in lovely, magical Prague! The apartment was spacious and full of light. The location is fantastic. The quiet street is very important to us at the same time centallyl located but away from crowds. The house had everything we’d ever need. I would rent again! This apartment is spacious, in a quiet neighborhood, and includes everything you’ll need. It has dishes, pots and pans, and staples like coffee and filters, tea, cooking oil... There’s a washing machine with laundry detergent and various cleaning supplies. Was delighted to find some spot remover - essential when you splash gravy on one of the few blouses you brought. The location couldn’t be better. I highly recommend nearby restaurant, Meduzzy. The venison and the beef on the Czech specialties menu are marvelous.